DAILY ENCOURAGEMENT – THURSDAY THOUGHTS #51… HOLY. Once, as an experiment, the great scientist Isaac Newton stared at the image of the sun reflected in a mirror. The brightness burned into his retina, and he suffered temporary blindness. Even after he hid for three days behind closed shutters, still the bright spot would not fade from his vision. "I used all means to divert my imagination from the sun," he writes, "But if I thought upon him I presently saw his picture though I was in the dark." If he had stared a few minutes longer, Newton might have permanently lost all vision. The chemical receptors that govern eyesight cannot withstand the full force of unfiltered sunlight. There is a parable in Isaac Newton's experiment, and it helps illustrate what the Israelites ultimately learned from the wilderness wanderings. They had attempted to live with the Lord of the Universe visibly present in their midst; but, in the end, out of all the thousands who had so gladly fled Egypt, only two survived God's Presence. If you can barely endure candlelight, how can you gaze at the sun? - Philip Yancey. Loving Heavenly Father, I thank you for my beautiful life in Jesus Christ; Help me by the power of the Holy Spirit, to be aware of the Holy presence of God. 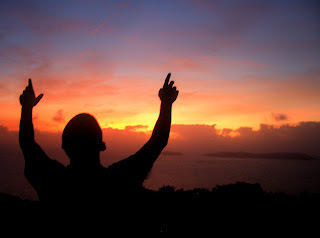 For your glory Lord, and for the extension of your Kingdom, in Jesus wonderful and mighty name I pray, amen! DAILY ENCOURAGEMENT – WEDNESDAY WARRIOR! #53. God's Kind of Christian by Charles Price. How does the finished work of Christ redound to God's glory? It does so because it reveals God's great attributes clearly. We must remember from our earlier study of the word "glory" that to glorify God means to "acknowledge His attributes" or "make them known." It means proclaming His sovereignty, justice, righteousness, wisdom, love, and everything else that may rightly be said about Him. But where are these attributes best known? The answer is: at the cross, for only here is the perfection of God's sovereignty, justice, righteousness, wisdom, and love abundantly and unmistakably displayed. We see God's sovereignty in the way in which the death of Christ was planned, promised, and then executed, without the slightest deviation from the prophecies of the Old Testament. We see God's justice in sin actually being punished. Without the cross God, could have forgiven our sin gratuitously (to speak from a human perspective), but it would not have been just. Only in Christ is that justice satisfied. We see God's righteousness in recognition of the fact that only Jesus, the righteous One, could pay sin's penalty. We see God's wisdom in the planning and ordering of such a great salvation. 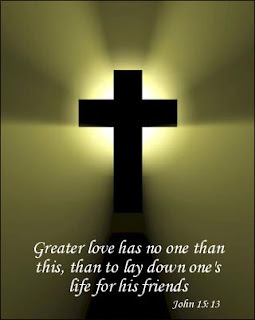 We see His love, for it is only at the cross that we know beyond doubt that God loves us even as He loves Jesus. Jesus revealed these attributes of the Father fully by His death. Hence, His obedience to the Father's will in dying, fully glorified Him. To God be the glory--great things He has done! That is God's glory . . . and Christ's glory . . . and our glory too, for we glory in Christ's death, rather than in any works or plans of our devising. . . . .
"It is finished." The work is done. Loving Father, I thank you for Christ in my life. Help me by the power of your Holy Spirit, to glean the principles contained in this essay, that I may be a better disciple for you, and for the extension of your kingdom. In the wonderful name of Jesus I pray, amen! DAILY ENCOURAGEMENT TUESDAY - CLASSIC TESTIMONIES…. Martyn Lloyd-Jones. Cardiff is a seaport and the capital of Wales--a city graced with many historic buildings and overlooked by a castle on a hill. A town of fewer than 2,000 people in 1801, its population multiplied into the hundreds of thousands in the 19th century. Martyn Lloyd-Jones contributed to that population boom when he was born in Cardiff on, December 20, 1899. Are you willing to do whatever it takes, and give all you have, to win the lost to Christ? Then like, Martyn Lloyd-Jones, put your hand in the hand of the man who stilled the water, and dare to follow Jesus wherever He leads you? Loving Father, I thank you for the life of Martyn Lloyd-Jones, and I pray that anyone reading this may be inspired by his testimony to give their life to you, and that you would use them in the same way, as you used Martyn. By the power of the Holy Spirit, help me to be a person of like faith, that I may bring glory to your name. In the wonderful and mighty name of Jesus I pray. Amen. DAILY ENCOURAGEMENT MONDAY – A HEART STARTER #71. Fellowship with God, then, as to privilege, is communion with Him; the actuality of friendship and fellowship with God, as to responsibility, is partnership with Him. . . Fellowship with God means we have gone into business with God, that His enterprises are to be our enterprises. How many people are there in company with whom you can pour out everything in your heart, say everything, say anything? Very, very few. But there is a perfect description of friendship. With your friend you think aloud, there is no restraint; there is no need to keep up an appearance--the blunter thing would be to say, there is no need to play the hypocrite. With God it is my privilege to pour out everything that is in my heart, chaff and grain together, saying anything, saying everything I am thinking. But have we learned that lesson? Do not we think altogether too often our conversation with God must be that of carefully prepared and often stilting phrasing? I think we never so grieve His heart as when we attempt to speak thus with Him. Conversing with God reaches its highest level when, alone with Him, I pour in His listening ear everything in my heart; and the manner in which I have learned that secret, and live in the power of it, is the measure of the joy and strength of my friendship with God. I can say, and I do say, when alone with God things I dare not say in the hearing of other men. I tell Him all my grief’s, and doubts, and fears; and if we have not learned to do so, we have never entered into the meaning of this great truth concerning fellowship. He will take out the grain, and with the breath of friendship blow the chaff away, only we must be honest when we are dealing with Him. Then He will be patient, and loving, and gentle; and out of the infinite love and gentleness of His heart He will speak some quiet word of comfort. How much do we know of this fellowship? How much have we practiced talking to God of everything in our souls? Wow! Now that our hearts are beating regularly, let’s consider what we have just read over a cup of Java, and ask the Lord to help us by the power of the Holy Spirit, to have Fellowship with God every day. Loving Father, I thank you for the beautiful weekend that I have just had. Help me by the power of the Holy Spirit to start off this week, by taking on board, some of the advice and inspirations that I have just read. 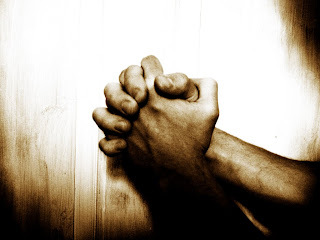 In the wonderful and mighty name of Jesus, I pray. Amen. DAILY ENCOURAGEMENT – WEDNESDAY WARRIOR! #51. Jehovah Jireh by Alexander MacLaren. Part 2. When the Provision Comes, further, note when the provision is realized. When the man is standing with the knife in his hand and the next minute it will be red with the son's blood then the call comes: "Abraham!" and then he sees the ram caught in the thicket. There had been a long weary journey from their home away down in the dry, sunny south, a long tramp over the rough hills, a toilsome climb with a breaking heart in the father's bosom, and a dim foreboding gradually stealing on the child's spirit. But there was no sign of respite or of deliverance. Slowly he piles together the wood, and yet no sign. Slowly he binds his boy and lays him on it, and still no sign. Slowly, reluctantly, and yet resolvedly, he unsheathes the knife, and yet no sign. He lifts his hand, and then it comes. That is God's way always. Up to the very edge we are driven before His hand is put out to help us. Such is the law, not only because the next moment is always necessarily dark nor because God will deal with us in any arbitrary fashion and play with our fears, but because it is best for us that we should be forced to desperation and out of desperation should "pluck the flower, safety." It is best for us that we should be brought to say, "My foot slippeth!" and then, just as our toes are sliding upon the glacier, the help comes and "Thy mercy held me up." "The Lord is our helper, and that right early." When He delays, it is not to trifle with us but to do us good by the sense of need as well as by the experience of deliverance. At the last moment, never before it, never until we have found out how much we need it, and never too late, comes the Helper. So "it is provided" for the people that quietly and persistently tread the path of duty and go wherever His hand leads them without asking anything about where it does lead. The condition of the provision is our obedience of heart and will. To Abraham doing what he was commanded, though his heart was breaking as he did it, the help was granted-as it always will be. What to Do with the Provision, and so, lastly, note what we are to do with the provision when we get it.Abraham christened the anonymous mountaintop, not by a name that reminded him or others of his trial, but by a name that proclaimed God's deliverance. He did not say anything about his agony or about his obedience. God spoke about that, not Abraham. He did not want these to be remembered, but what he desired to hand on to later generations was what God had done for him. Oh! 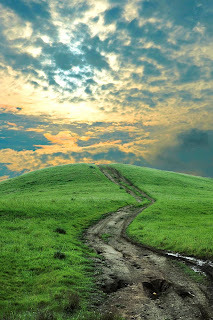 dear friends, is that the way in which we look back upon life? Many a bare, bald mountaintop in your career and mine we have names for. Are they names that commemorate our sufferings or God's blessings? When we look back on the past, what do we see? Times of trial or times of deliverance? Which side of the wave do we choose to look at, the one that is smitten by the sunshine or the one that is all black and purple in the shadow? The sea looked at from the one side will be all a sunny path, and from the other, dark as chaos. Let us name the heights that he behind us, visible to memory, by names that commemorate, not the troubles that we had on them, but the deliverances that on them we received from God.This name enshrines the duty of commemoration-yes! And the duty of expectation. "The Lord will provide." How do you know that, Abraham? And his answer is, "Because the Lord did provide." That is a shaky kind of argument if we use it about one another. Our resources may give out, our patience may weary. If it is a storehouse that we have to go to, all the corn that is treasured in it will be eaten up some day; but if it is to some boundless plain that grows it that we go, then we can be sure that there will be a harvest next year as there has been a harvest last. And so we have to think of God not as a storehouse but as the soil from which there comes forth, year by year and generation after generation, the same crop of rich blessings for the needs and the hungers of every soul. If we have to draw from reservoirs we cannot say, "I have gone with my pitcher to the well six times, and I shall get it filled at the seventh." It is more probable that we shall have to say, "I have gone so often that I durst not go any more"; but if we have to go not to a well but to a fountain, then the oftener we go, the surer we become that its crystal cool waters will always be ready for us. "Thou. hast been with me in six troubles; and in seven thou wilt not forsake me," is a bad conclusion to draw about one another; but it is the right conclusion to draw about God. And so, as we look back upon our past lives and see many a peak gleaming in the magic light of memory, let us name them all by names that will throw a radiance of hope on the unknown and unclimbed difficulties before us and say, as the patriarch did when he went down from the mount of his trial and deliverance, "The Lord will provide." DAILY ENCOURAGEMENT TUESDAY - CLASSIC TESTIMONIES… Catherine McAuley. Even before the famine which began in 1845, Ireland had its share of poverty. Orphans and waifs did not find the kind of governmental support which is now common everywhere in the western world. Although antipathy between Protestants and Catholics existed then as now, it did not prevent one Catholic orphan girl of Dublin from finding Protestant foster parents. 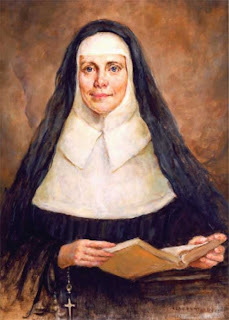 Catherine McAuley was taken into the home of Surgeon Conway. Although he was a rigid Protestant, Catherine refused to attend his Protestant church. When Catherine was 18, another couple, the Callahan’s, adopted her. She converted both of them to Roman Catholicism. When Mr. Callahan died in 1822, he left her a great fortune. She was then about 35. Perhaps because she had lost her own parents, Catherine wanted to do work among the poor. She had already engaged in relief efforts for the needy and by 1824 contemplated plans for a centre for the charitable works she planned. On September 24, 1827 she opened her House of Mercy. It consisted of a school and a home for working mothers. Because the need for jobs was great, she soon tacked on an employment agency and before long an orphanage. Catherine had no interest in becoming a nun. Many of her helpers were inclined to religious vocations, but, except for a daily routine which included spiritual exercises and a uniform adopted for convenience sake, her House of Mercy made no effort to become a religious order. All the same, her inclusion of religious elements led to carping by jealous Roman Catholic orders. Her work was heretical, they griped. Catherine was trying to compete with the Sisters of Charity. An ugly prejudice developed against her. The archbishop of Dublin, under whose care Catherine had placed her funds, spoke with her. Either she must drop the religious elements from her work or else bring it officially into the Catholic Church. Rather than give up the work which had come to mean a good deal to her, Catherine agreed to receive religious instruction and develop her work into a charitable order. She adopted the Augustinian rule commonly used by the Sisters of Presentation, adding chapters on the care of distressed women and visitation of the sick. On December 12, 1831, she took her own vows of poverty, chastity and obedience. Thus came into being the Sisters of Mercy. Even in her lifetime the order grew and spread. She established a second house in London "to educate poor little girls, to lodge and maintain poor young ladies who are in danger and to visit the sick poor." After she died in November 1841, the Sisters of Mercy grew to be the largest order ever founded in an English speaking country. Are you willing to do whatever it takes, and give all you have, to win the lost to Christ? Then like, Catherine McAuley, put your hand in the hand of the man who stilled the water, and dare to follow Jesus wherever He leads you? Loving Father, I thank you for the life of Catherine McAuley, and I pray that anyone reading this may be inspired by her testimony to give their life to you, and that you would use them in the same way, as you used Catherine. By the power of the Holy Spirit, help me to be a person of like faith, that I may bring glory to your name. In the wonderful and mighty name of Jesus I pray. Amen. DAILY ENCOURAGEMENT MONDAY – A HEART STARTER #70. The activities in which men engage may be divided into two categories: the morally bad and the morally neutral. The activities of the burglar, the gambler, the dictator, the procurer, the dope addict, the gangster and all who prey upon society are bad; nothing can make them better. The call of Christ is away from all such. This is not to be questioned or debated, but accepted without delay and acted upon at once. But the majority of our human activities are not evil in themselves; they are neutral. The laborer, the statesman, the housewife, the doctor, the teacher, the engineer-such as these engage in activities that are neither good nor bad. Their moral qualities are imparted by the one who engages in them. So the call of Christ is not away from such things, for they may be sanctified by the prayer and faith of the individual, and thus turned into a positive good. Yet though we recognize the honor bestowed upon us, there is no place for pride, for the follower of Christ must shoulder his cross and a cross is an object of shame and a symbol of rejection. Before God and the angels it is a great honor to follow Christ, but before men it is not so. The Christ the world pretends now to honor was once rejected and crucified by that same world. The great saint is honored only after he is dead. Rarely is he known as a saint while he lives. The plaudits of the world come too late, when he can no longer hear them; and perhaps it is better that way. 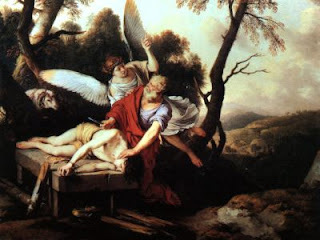 Not many are selfless enough to endure honor without injury to their souls.In those early Galilean days Christ's followers heard His call, forsook the old life, attached themselves to Him, began to obey His teachings and joined themselves to His band of disciples. This total commitment was their confirmation of faith. Nothing less would do. And it is not different today. He calls us to leave the old life and to begin the new. There must never be any vacuum, never any place of neutrality where the world cannot identify us. Peter warming himself at the world's fire and trying to seem unconcerned is an example of the kind of halfway discipleship too many are satisfied with. The martyr leaping up in the arena, demanding to be thrown to the lions along with his suffering brethren, is an example of the only kind of dedication that God approves. Wow! Now that our hearts are beating regularly, let’s consider what we have just read over a cup of Java, and ask the Lord to help us by the power of the Holy Spirit, to realise the call of Christ in our lives.